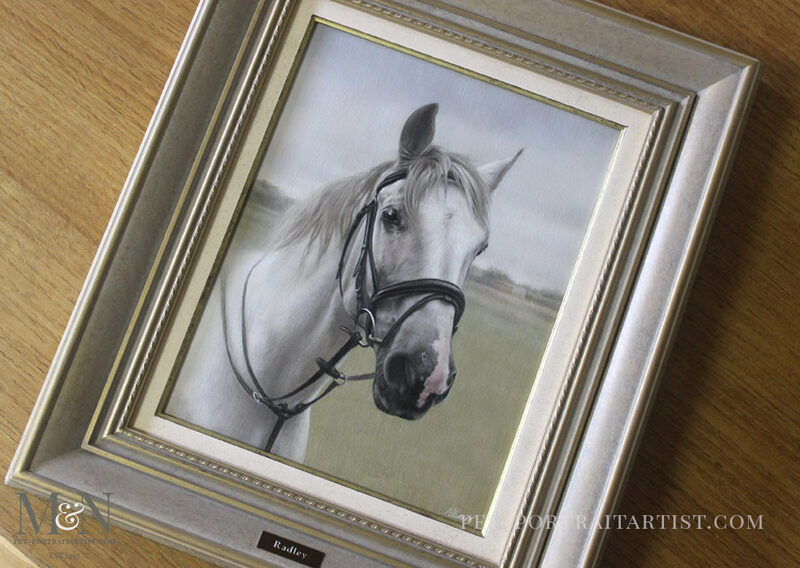 Welcome to our latest commission, a horse portrait of Radley. The painting, by Nicholas, is a 14 x 11 oil on Italian Linen Canvas. Our client Richard emailed asking if we would be able to portray his partners horse Radley. Sadly Radley wasn’t with us any longer, so we need to work with the photos Richard already had. Richard sent a number of photos of Radley. One in particular stood out to us as being perfect for an oil portrait. Radley was in a field, however the background wasn’t completely right for a portrait. So we amalgamated some of the scenes from the other photos Richard sent us to create the perfect composition. Richard also wanted us to frame the portrait and we discussed a number of options. We finally settled on our Bayswater Aged frame which you can see on our website, along with some close up photos below. 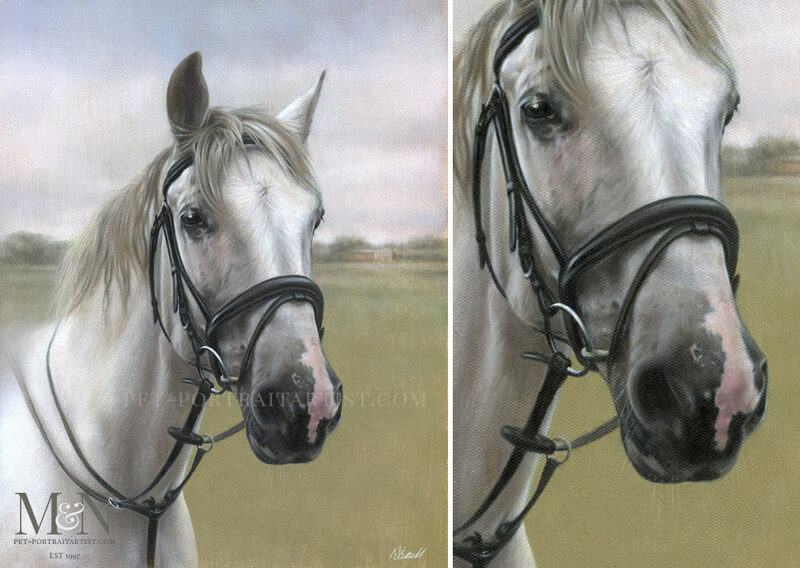 Horse Portrait of Radley – Happy Clients! Read a testimonial below from Mandy the recipient….. I just wanted to write and thank you both for bringing my beautiful horse Radley back to life again for me. I opened the gift from Richie yesterday and was over-whelmed with emotion. Nicholas captured Radley’s character in a way I didn’t think was possible in a painting. Radley was a horse I had longed for and searched for since I was a little girl. Finding him was a dream come true, so when I had to say goodbye to him in March this year it was one of the hardest moments of my life. His memory will forever be etched in my mind but now I get to look at him every day and see the gentleman amongst horses that he was. I often take video of our paintings, depending on how much time I have whilst working on my own pencil drawings. Hopefully it will give everyone a good idea of what the finished painting is like. You can alos see the fame a little clearer. If any of our cleints are intereste din having a frame similar ot this, just drop us a line. 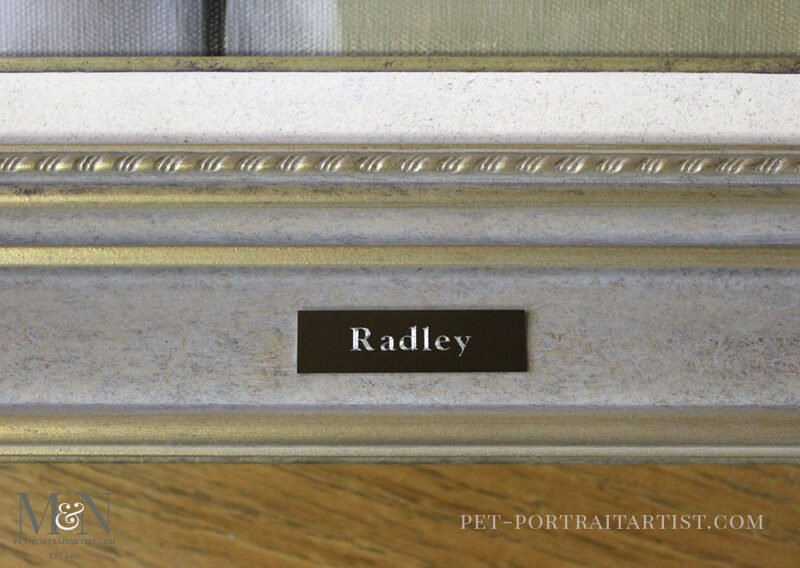 The horse portrait of Radley was framed in our Bayswater Aged Frame. 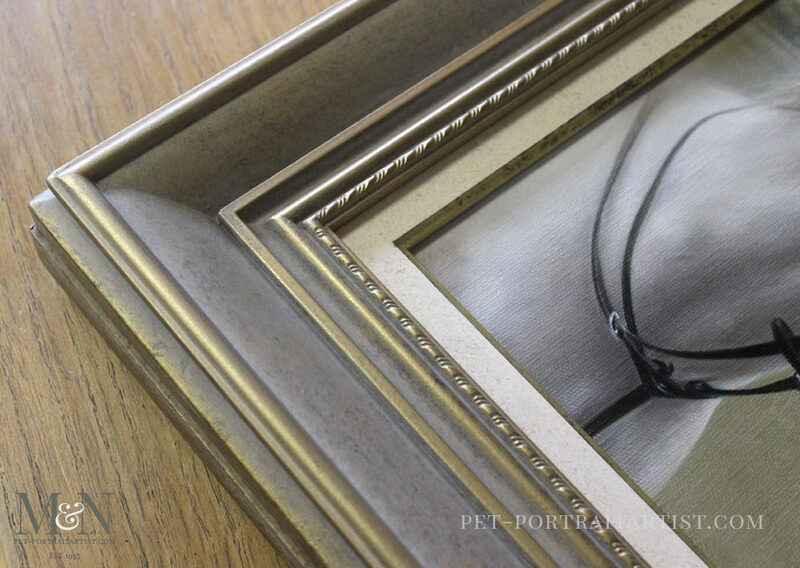 We have used this frame before however this time our framers finished it with an inner slip. We will definitely recommend it to our future clients. To explain a little further, if you look at the photo below, the inner slip is the cream flat area on the frame. It is edged with gold. Slips can be used on all different mouldings and you can see different types of slips in our Framing Gallery.